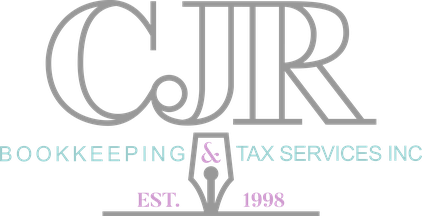 Testimonials - CJR Bookkeeping & Tax Services Inc.
"I originally found CJR Bookkeeping through a Google Search for my yearly taxes, but I ended up making the call to CJR on a very strong word of mouth recommendations from someone I work with, and I am very glad I did. Everyone is very friendly and helpful and that to me is the most important thing. I have asked many questions of their staff, and they have always been open and honest. If they do not know the answer to my question they find out and reply so I can better understand my tax situation. They have also helped me prepare for the following tax year, which I have had difficulties doing in the past. I am very excited that this year's taxes actually have me in the green, something that has not been the case for a number of years. CJR gives me peace of mind and they take time to explain everything to me and my wife. Contact us today to discuss your bookkeeping and income tax needs! © CJR Bookkeeping & Tax Services Inc. 2019. All Rights Reserved.